What kind of project are you preparing to start on? Are you planning for a new home construction, renovation, or just adding a deck to your home? Any kind of construction you are planning in the Sunshine Coast and Brisbane area requires the right plans, permits, and approvals from local authorities. When you choose the right draftsman Sunshine Coast and Brisbane construction projects can run smoothly. What should you look for in your choice of drafts person? Your construction drawings must be perfect. Simple mistakes in a drawing can cost you thousands of dollars and cause major delays in your project getting completed. A simple mistake can even delay getting all of your approvals for permits or cause you to violate local building regulations and not be aware until final inspection. 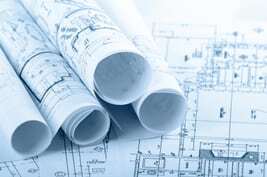 The first thing you need to verify when choosing drafting services is their qualifications. Does the Sunshine Coast draftsman or Brisbane draftsman have experience, proper training, and holds a license to work in the area? Experience in the field should not be limited to only drafting. Check into the level of experience the drafting services company has working within the industry. Do they have any hands-on experience with home building and construction? How familiar are they with the actual materials used in the construction industry? It is shocking how often people study to be a draftsman but have no true understanding the entire building process. This lack of insight can lead to errors in their drawings which are unintentional and often well-meaning. They just do not have the background to understand how a minor difference in materials or measurements can make a major impact on final construction cost. Someone experienced in the construction industry from multiple angles can provide better drafting solutions because they understand how much impact tiny changes can make. They know material substitutions or changes must take into account strength, durability, availability and ease of working with the material. They understand the importance on trying to maintain measurements to match industry standards. When standard sized materials can be used it cuts the overall cost of construction helping to hold projects within budget. Concepts Pty Ltd. Daryl Wood, one of the partners and draftsman, has years of experience in construction working as a carpenter, in the construction supply industry, and as a draftsman. When you ask Daryl about materials and construction methods it is not from learning about it from a book, it is from working in the industry getting his hands dirty. He understands the demands facing both home buyers and home builders in the Brisbane and Sunshine Coast area. Daryl and his team have extensive training in drafting and use state of the art computer equipment and CAD software to complete drawings rapidly and accurately. Does Your Choice of Sunshine Coast Draftsman Offer a Full Construction Package? 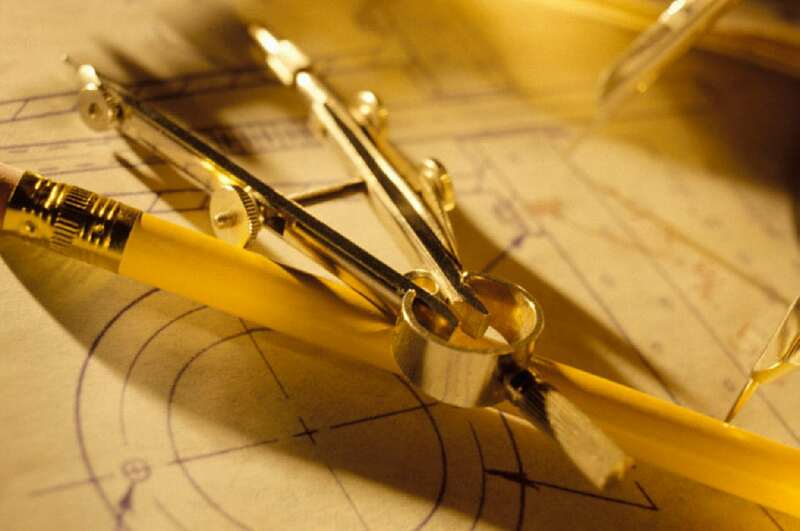 There are many Sunshine Coast and Brisbane drafting services which offer only drawings and no further support. This can be a disaster for smaller builders and home buyers who are self-contracting their home. Seek a company who can take care of all the details for you. You can choose what services you need, but at least know you have the options for getting everything you need under one roof. You do not want to be handed a set of drawings and then left to figure things out on your own. This might be OK for a contractor with years of experience, but even then, you might prefer to turn over those painful chores to someone you can trust to get it done right. Keeping your costs low makes sense in all facets of your construction planning and project. 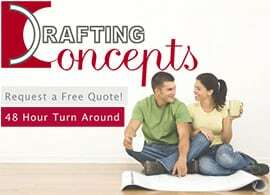 Before you make your final choice of a Sunshine Coast draftsman or Brisbane draftsman to work on your project you should ask for competitive quotes. You might be worried getting quotes for the drafting project is going to waste precious time, but it should never take more than a couple days. That is a very short time considering the amount of money you can save plus the potential reduction in construction costs by choosing the right firm. If you need a fast quote from a draftsman Sunshine Coast and Brisbane contractors recognize and trust contact Daryl Wood at Drafting Concepts Pty Ltd. He will have a free quote back to you within 48 business hours. Daryl is one of the finest draftsman Sunshine Coast and Brisbane has to offer and you will be surprised to discover how cost effective his work is. Keep in mind, the cost of the drawings themselves are just a small part of your overall design costs. 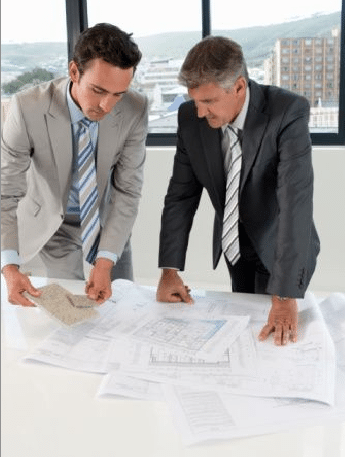 Check with your drafting services company and see if they can offer the other planning services you will need and can help step you through all of the filing for permits, zoning issues, or other concerns you may need assistance with. Regulations, zoning rules, special permits, and other local issues can easily be overlooked by a draftsman who does not live, work, and meet with people in the Brisbane and Sunshine Coast communities. They may not be aware of special needs for fire zones, flood insurance, or other concerns which must be addressed in the design plans. By choosing a company which has offices in the area, and works with local builders and suppliers, you can be assured of getting the right plans. The plans will take into consideration all of the little items which can affect your bottom line cost. Choosing a draftsman Sunshine Coast has come to trust, like Daryl Wood and his team, you can be confident your construction project will run smoothly.